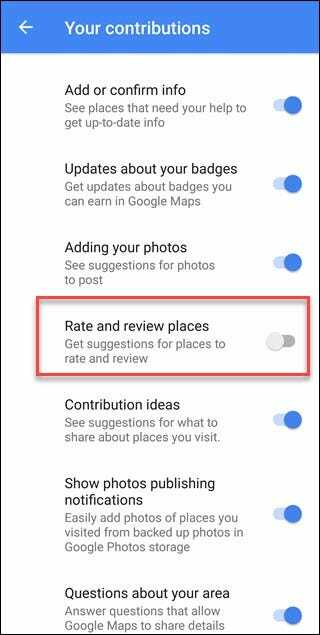 If you have Google Maps on your smartphone, you may receive notifications requesting a review for businesses you visit. Google usually asks “How was [Business Name]?” and expects a rating or review. Here’s how to turn those notifications off. Many apps request access to your location, even if they don’t need it. You shouldn’t give every app access to your location. 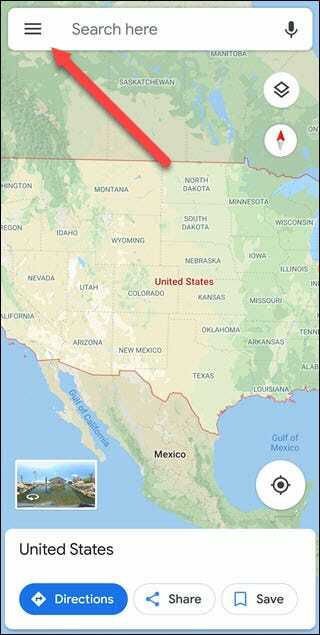 But a map app requires location permissions to give you directions. 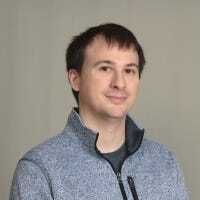 What you may not realize is Google Maps continues to track you even when you’re not using the app thanks to your Google Maps location history. If you spend much time at a store, for instance, you may get a notification after you’ve left—“How was [Store Name]? Help others know what to expect.” This can be especially annoying if the business in question is where you work. You wouldn’t want to rate the place you work, and if you don’t, you’ll get asked every time you go. These notifications are part of a Maps feature called “Your Contributions,” which solicits ratings and reviews. Google even has a rewards program called Local Guide, you earn points for contributing, and Google promises you’ll get perks. Google doesn’t spell out what those perks are though, so your mileage may, and you could be giving up a lot of data about where you are for minimal reward. If you don’t care about perks, and you don’t want the requests to review places you’ve been it’s easy to turn the notification off. We’ll demonstrate this process with Android, but the process is the same on an iPhone. First, open the Google Maps app and tap the hamburger menu in the upper left-hand corner. 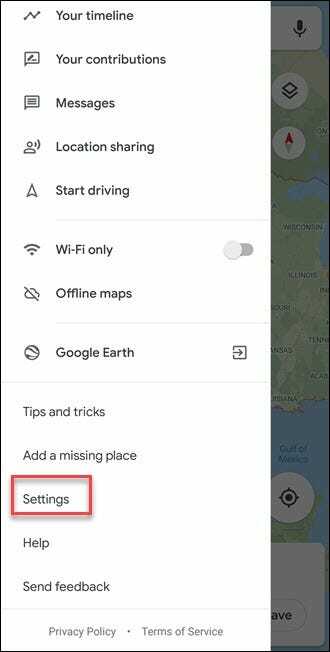 On an Android phone, scroll down and tap “Settings.” On an iPhone, tap the settings gear at the top right corner of the hamburger menu pane, to the right of the “Google Maps” logo. Tap “Notifications” on the Settings screen. 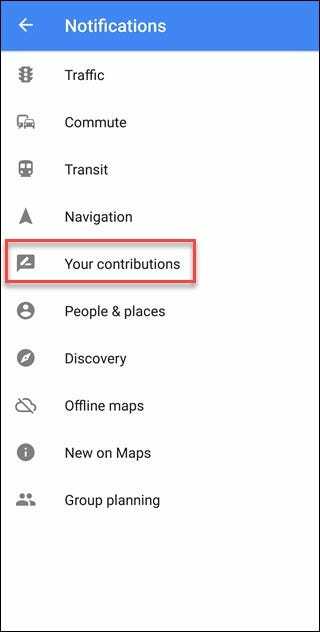 On an Android phone, tap “Your contributions.” On an iPhone, you’ll immediately see a list of notification types. While you’re here, you may consider turning off any other options you don’t want to be notified about, like “Questions about your area” or “Adding your photos.” Once you have everything set as you like you’re done. 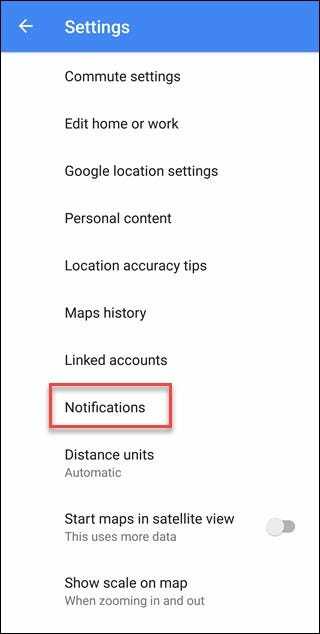 But as long as you’re taking care of annoying Google Map notifications, you may want to take care of the Discovery centered notifications too.